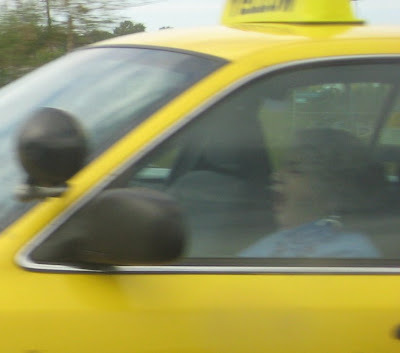 On our way back from lunch, we passed a cab being driven by a very old woman. I thought this was very unique and was able to snap a quick photo of her. Later I took a closer look at the photo and it's completely freaked me out. It looks like she is screaming. I am tormented by this photo. That's why you were looking. That's why you took the picture. That, my friend, is what torments you. This makes me wonder what's just to the left of the frame. 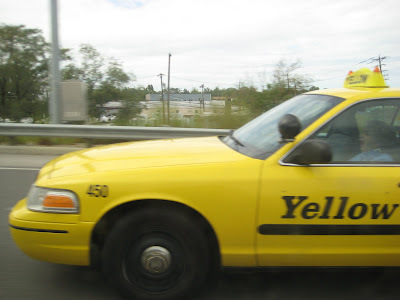 ha ha ....are you her passenger juan?